Profound Creates Younger Skin. Profoundly. Click play on the video to the watch. 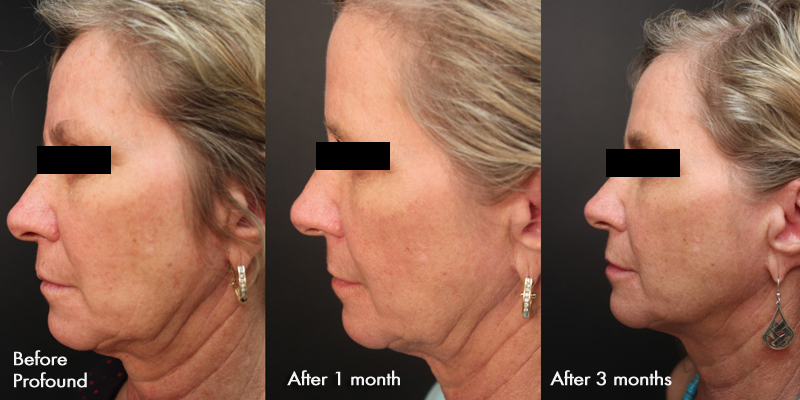 One-Time Treatment for Saggy Jowls? 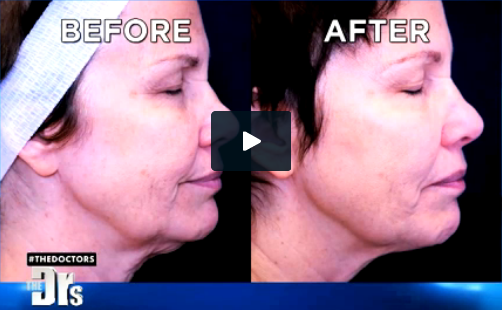 We've been telling you about the amazing results with Profound, now you can watch the recent story on The Doctors. We are excited to be the first in Louisville to offer new technology that tightens skin of the face and (Yes!) the neck without surgery or prolonged recovery! (Actually, we are also using it to tighten skin of the inner and outer thighs, that loose skin above the knees, the arms and abdomen as well!) We still love our Sciton Laser Skin Tyte treatments for those who don't mind undergoing a treatment series, and who don't mind the need for maintenance treatments, but for those who can allow a week of downtime and don't desire laser skin surface healing (as with ProFractional, Fraxel or CO2RE lasers)...there is now Profound by Syneron-Candela. Basically, the treatment involves numbing the skin of the treatment area, and then treating it with microneedles that safely and quickly deliver radiofrequency (heat energy) below the (chilled) skin's surface. Any area of the body may be treated, but face and neck may be the most popular. The procedure takes an hour from start to finish in our office... no pain, no anesthesia and no incisions. There is 3 to 5 days of mild bruising and swelling. Make-up may be applied immediately. The direct result of delivering heat specifically deep to the skin's surface within the dermis, is that the heat causes collagen remodeling, which leads to tightening and smoothing without damaging the skin surface. 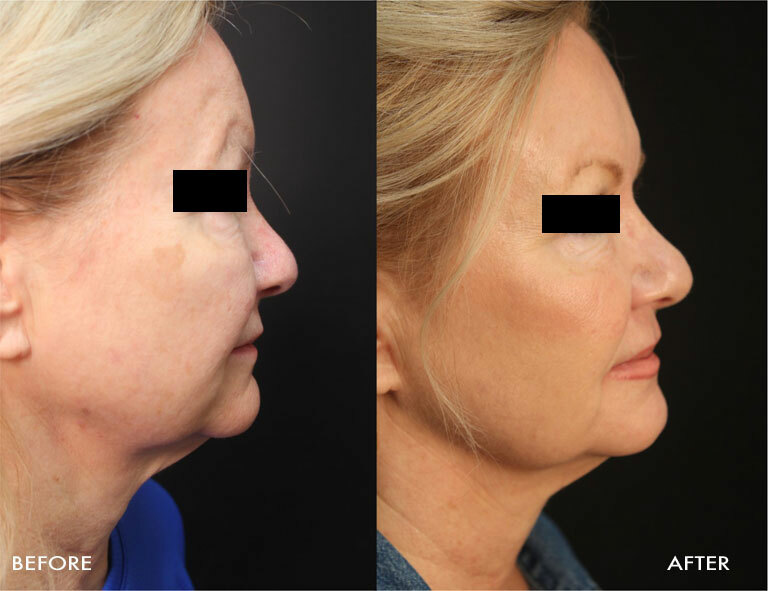 For once, the neck may be treated the same as the face (which is not possible with laser or other skin tightening modalities, which require that "lighter" settings be used on the neck). Also, another unique feature of this type of radiofrequency delivery, is that there is no need to physically undermine the skin in order to deliver the heat energy, so there is no disruption to the normal connection between skin and deep soft tissues (we call these connections "retaining ligaments", and they help the skin resist the effects of gravity). This is important for what we call "skin redraping" with energy delivery. 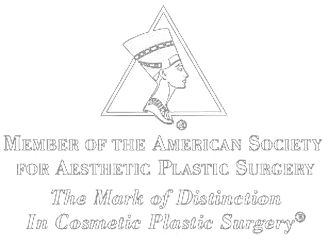 If a formal surgical lift is NOT being performed, how the heat energy is delivered becomes critical when trying to tighten skin significantly. Heat energy alone cannot overcome gravity's attempts to loosen skin, and once the retaining ligaments are divided, the skin is much more easily loosened by gravitational aging. Therefore, it is vitally important to try to maintain as many of the deep connections between skin and the deeper layers while delivering the heat that causes tightening in the collagen and elastin fibers of the dermis. 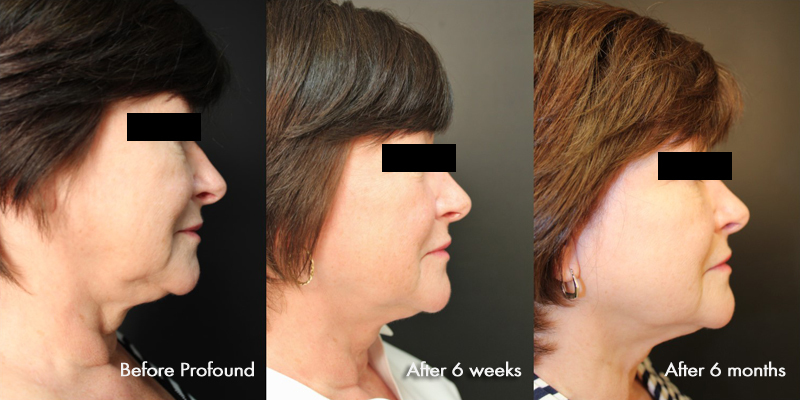 Once these structures have been divided, it is best to perform a formal lift (ie, face or necklift). But with the advent of microneedles that can deliver the radiofrequency heat, it is now possible to get the heat to the appropriate sub-skin elastin and collagen fibers WITHOUT dividing the important connective tissue and retaining ligaments that support the skin against gravitational effects. VOILA!... 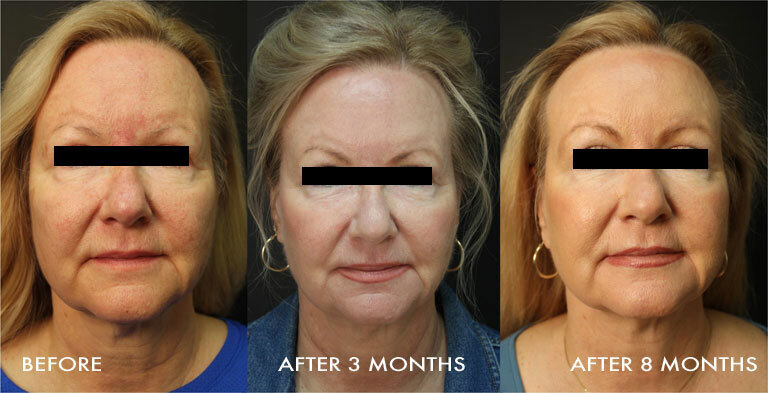 tighter and smoother skin results with maximal benefits seen at 3 months after a single Profound treatment. 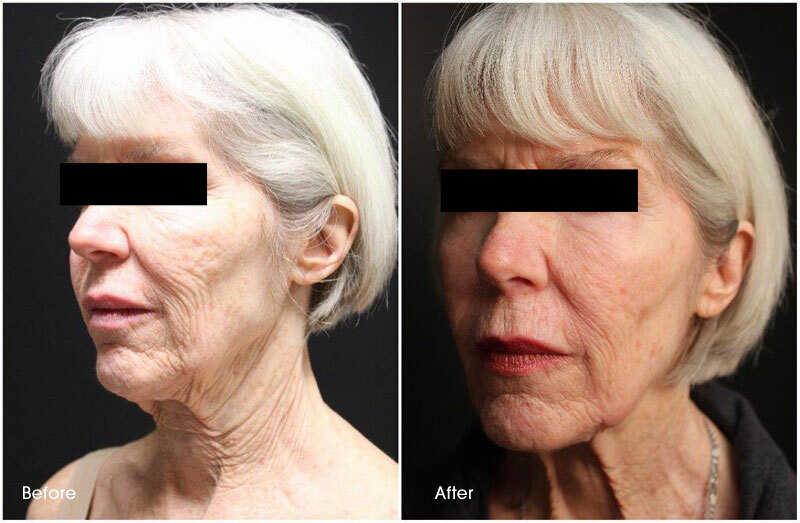 The Profound procedure benefits anyone who desires tighter skin without surgery...patients with acne scarring, patients who are seeing early facial and neck laxity but are not ready for a facelift (or not interested in having one), and patients who may have had a facelift or necklift but are not interested in having it surgically revised are electing to use this exciting new modality. 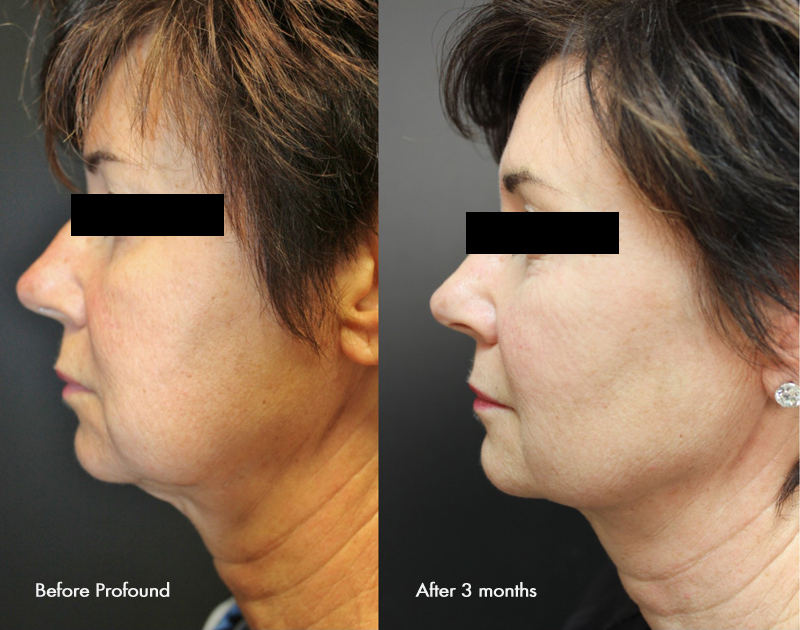 In other words, Profound can be a great way to put off having a facelift or necklift, or to maintain one after it's been performed. 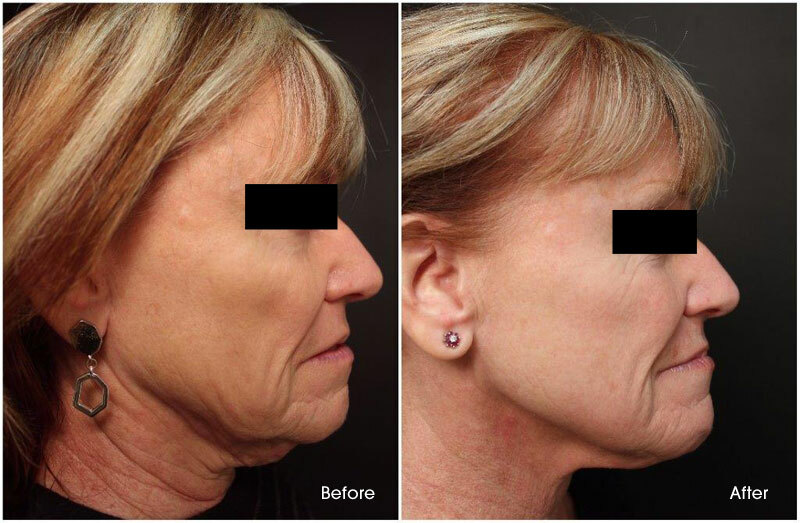 And unlike laser skin tightening, it is a single step procedure, and one which is just as good for the neck as it is the face. 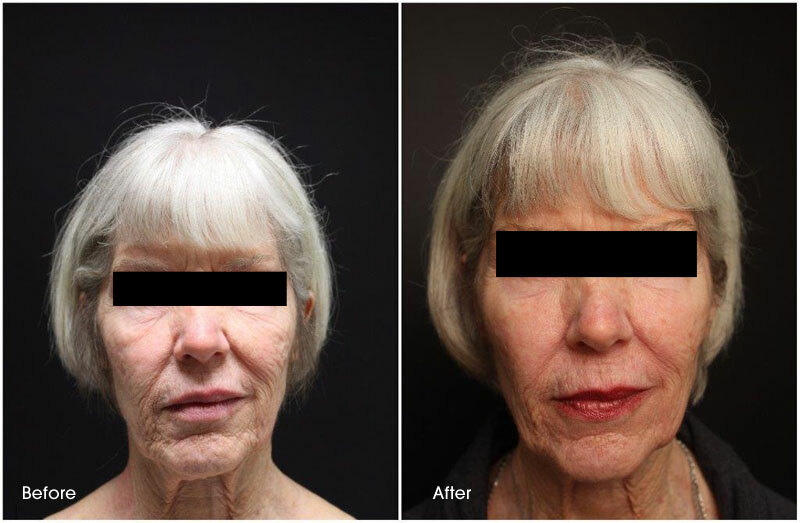 We have also seen patients suffering with deep acne scars or wrinkles receive benefit from the Profound tightened skin, and Profound can also be combined with more traditional laser peels and tightening treatments for added benefits. 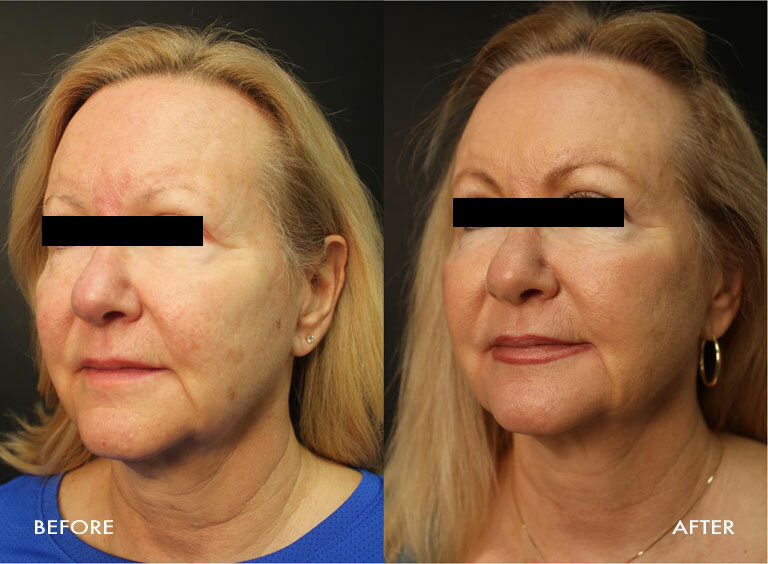 Laser and Profound can be performed together as a single treatment or separately, and treatments may be customized to suit each patient's needs and budget.